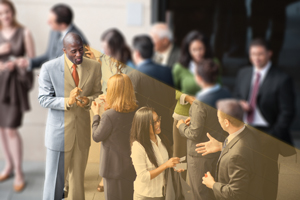 The single most common complaint people with hearing loss make is the inability to hear in a noisy or crowded environment. Wearing hearing devices sometimes doesn’t offer much relief either as the devices can amplify the background noise just as much as the speech: very frustrating! The best feature in recent years to combat this issue has been Directional Microphones. Using two microphones, one pointing forwards and one pointing to the rear, the hearing device can determine the direction of the incoming signals. This is done by comparing which microphone received the signal first and loudest (very clever!). When you are in a quiet environment, it is perfectly fine for you to hear everything from any direction and this is the optimal way for the devices to operate. However, when you are in a noisy situation, using directional microphones allows emphasis to be placed on sounds which came from in front of you, lessening noises from the side and behind you. This allows you to focus your attention on the person speaking to you and improves your listening comfort in noise. The most basic form of directional microphones requires you to select when you wish the devices to work in this way (by pressing a small button on the device or using a remote control). More advanced levels of technology give automatic directional switching based on the surrounding noise levels. This means less fiddling with the devices and greater comfort. The most advanced devices now have wireless interaction between the left and right devices. This allows them to keep the directional function synchronised and also allows left / right directional function as well as front / back. This gives the ultimate in sound quality and comfort in group situations.